I just had to post a photo of my beautiful Robbie as he posed so nicely for me when I looked through the kitchen window. He has been flying over to the food store when I have been filling the feeders so he hasn't lost his touch. Hopefully, when he has his babies he will come and eat out of my hand again. 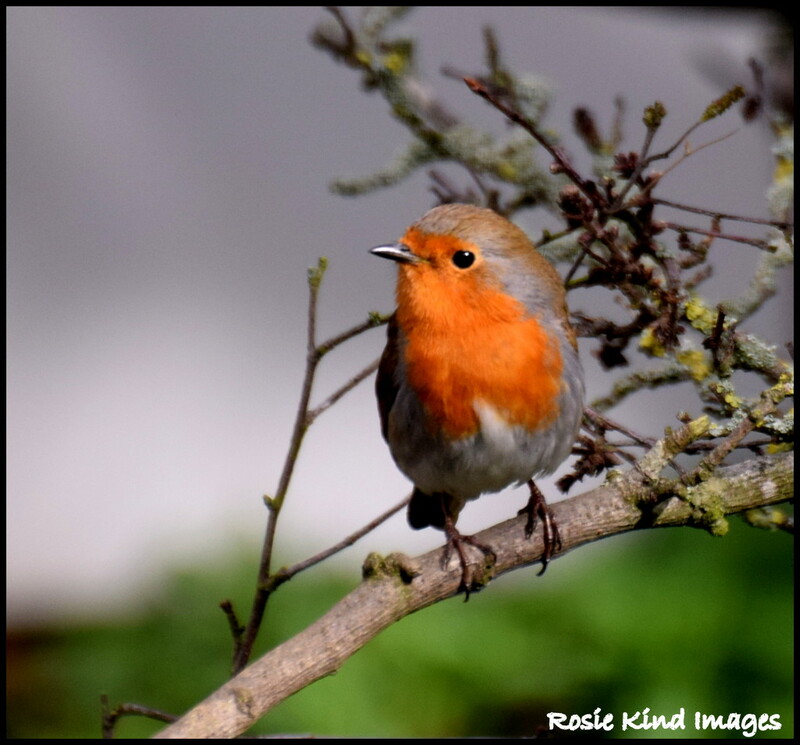 Beautiful capture Rosie - great clarity! Perfection in focus and clarity! Such sweetness captured! Such a little beauty ! And you have the catch of light in his eyes. he is such a charming little fellow.